Kia extends warranty coverage for Optimas, Sorentos and Sportages with GDI engines. January 17, 2019 — A Kia engine warranty extension will provide lifetime coverage for repairs to the engine long block assemblies due to engine bearing damage on 2011-2018 Optimas, 2012-2018 Sorentos and 2011-2018 Sportages. 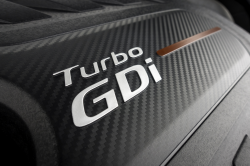 The nearly 1.7 million Kia models are equipped with 2.4-liter gasoline direct injection (GDI) engines and 2-liter turbocharged GDI engines. The engine warranty extension was announced as Kia issued a recall of about 68,000 Optimas, Sorentos and Sportages to fix problems caused by a previous engine replacement recall. In addition to the lifetime warranty, Kia is offering a "product improvement campaign" for the vehicles to update the engine control unit software. The new software will allegedly help protect the engines from bearing damage by alerting drivers to early symptoms of engine failure. According to Kia, a "knock sensor detection system" will monitor a vehicle for vibrations caused by worn connecting rod bearings. The system will allegedly provide a driver with illuminated warning lights as the vehicle enters limp mode to protect the engine. A special diagnostic trouble code (P1326) will be recorded in the engine control unit, but limp mode means the vehicle speed will be reduced to 1,800 to 2,000 rpm. If you own a 2011-2018 Optima, 2012-2018 Sorento or 2011-2018 Sportage and have questions, please call Kia at 800-333-4542.